Earth View from Space. Dark Blue Sky and Clouds. Earth View from Space. 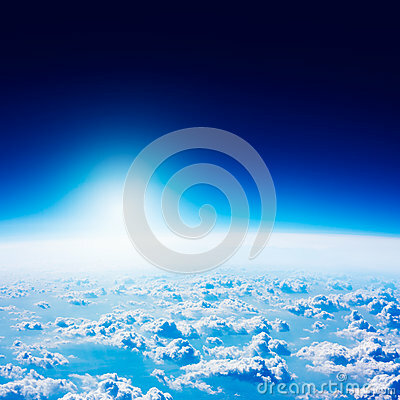 Dark Blue Sky with Rised Glowing Sun and Clouds. Copy Space.